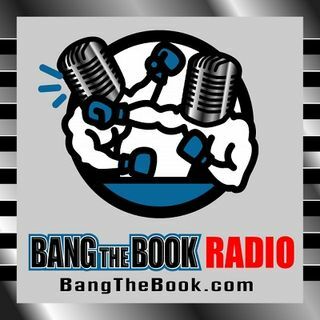 On the Thursday January 3 edition of BangTheBook Radio, host Adam Burke was joined by professional handicapper Brad Powers from BradPowersSports.com for the full hour to chat about Clemson vs. Alabama and the four NFL Wild Card Weekend playoff games. The guys took a look back at the 2018 season as a whole to isolate what Brad did well and what he didn’t and then wrapped up the season with a detailed breakdown of Clemson vs. Alabama. The guys talked about the side and total, but also focused in ... See More on player prop bets as smart, alternative ways to get edges for what is the tightest line of the college football season. Colts vs. Texans, Seahawks vs. Cowboys, Chargers vs. Ravens, and Eagles vs. Bears are the four NFL playoff games in the Wild Card Weekend. Adam and Brad broke down all sorts of different betting angles and considerations for that set of games and also talked about some derivative betting opportunities for the weekend.